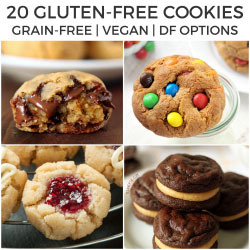 20 gluten-free cookies that you’ll want to inhale! There are all kinds of gluten-free recipes here including grain-free, dairy-free and vegan options. If you’re looking for paleo cookies, I have you covered with this roundup of 75 paleo cookie recipes. 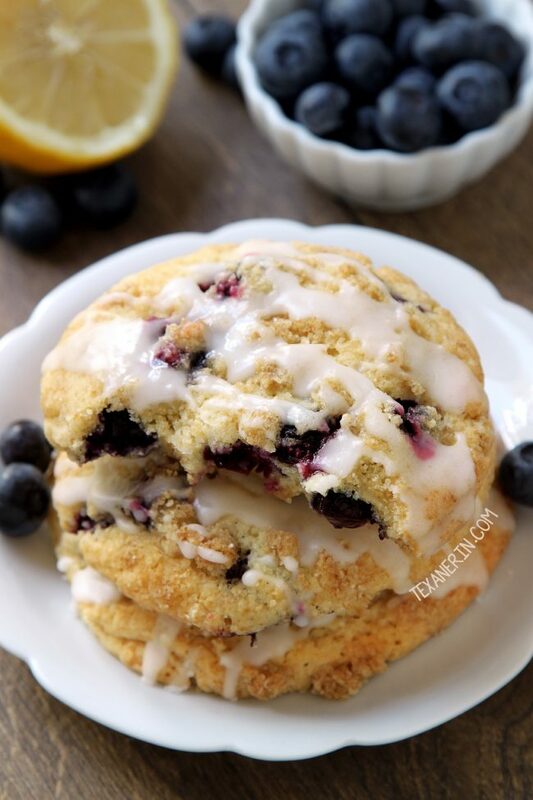 Today’s roundup doesn’t have any paleo recipes so be sure to check out that post if that’s what you’re looking for! 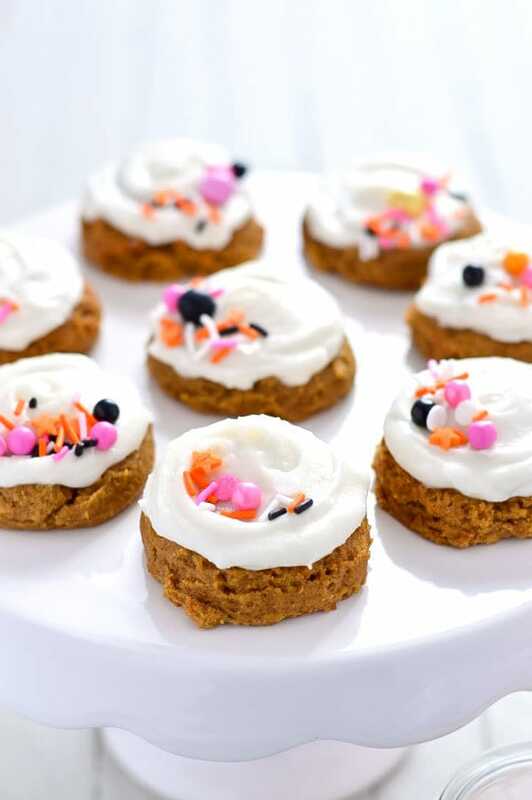 What the Fork describes these gluten-free pumpkin cookies as “little pumpkin clouds covered in more clouds of cream cheese frosting.” That was enough to sell me! 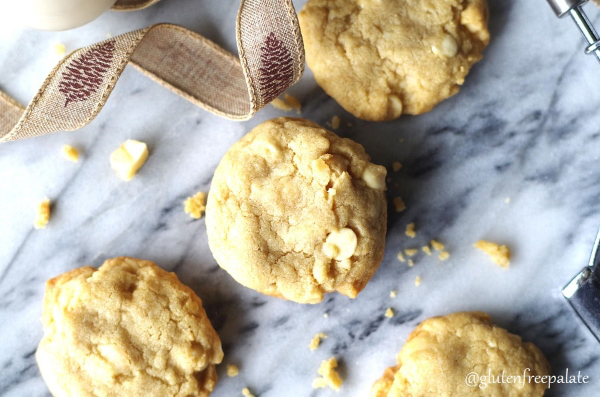 These gluten-free white chocolate macadamia cookies from Gluten-free Palate are chewy, crunchy, and soft all at once. If you’ve never tried macadamia nuts + white chocolate together, you’re missing out! This chocolate dipped brown sugar shortbread is a typically Christmas-y cookie that should be enjoyed year-round. We loved these cookies so much that we made them as gifts for basically everyone we know! They look great and more importantly, are ridiculously delicious. 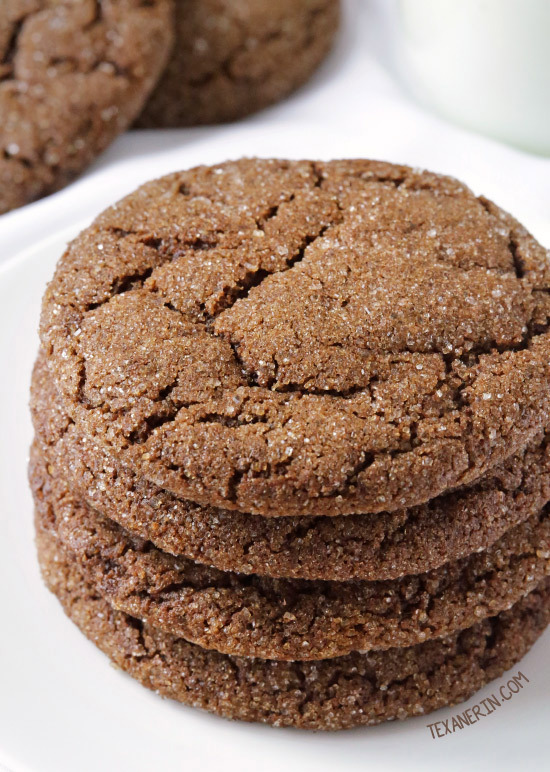 These molasses cookies are soft, chewy and remind me of the Archway cookies from my childhood! I highly recommend not waiting until Christmas to try these out. If you’ve never had a molasses cookie before, I’m here to tell you that they taste WAY better than they sound! These gluten-free dairy-free sugar cookies from Allergy-free Alaska are perfect for any holiday, or just whenever! Good luck finding a chewier, most delicious recipe than these gluten-free oatmeal cookies. 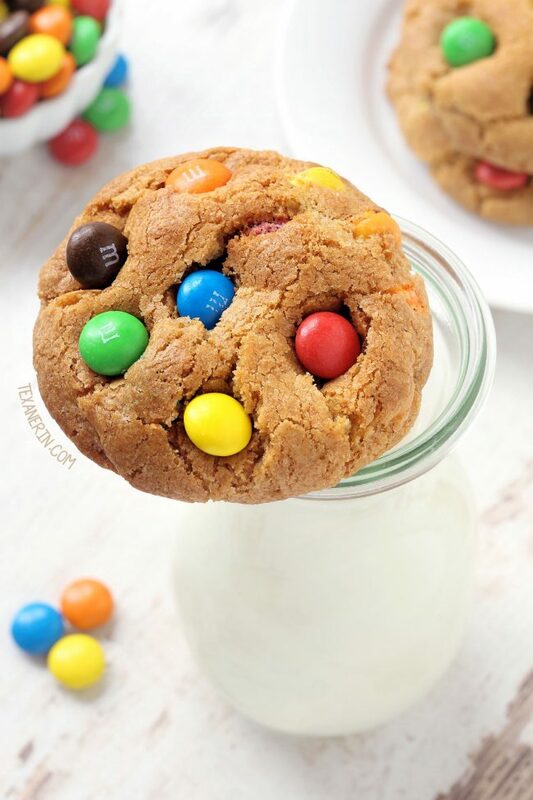 ;) Seriously – they’re everything you could want in a cookie! You only need 5 ingredients for these coconut lover’s oatmeal cookies from Barefeet in the Kitchen! They really couldn’t be any simpler. These peanut butter chocolate chip cookie dough bites are my second most popular recipe, even 5 years after posting them! They’re based on chickpeas (which I promise you can’t taste! I don’t like chickpeas, so…), peanut butter and honey or maple syrup. They’re just magical straight from the oven. 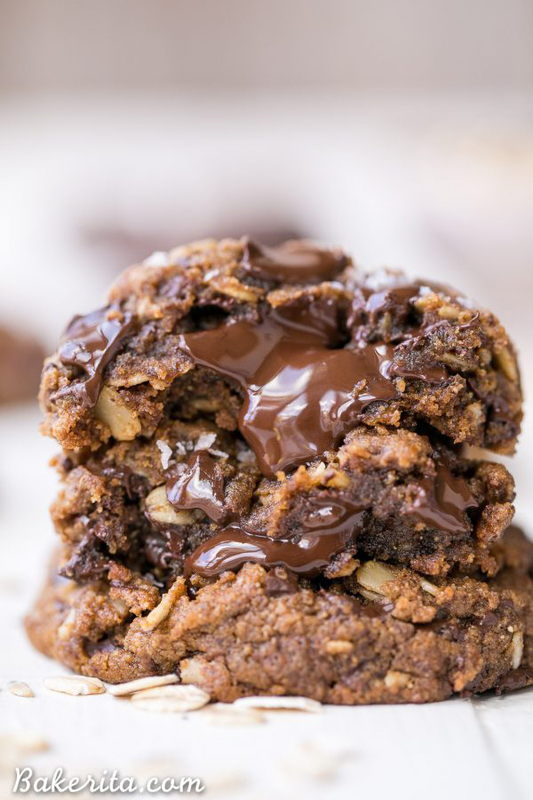 These vegan almond butter chocolate chip walnut oat cookies from Beaming Baker use oats, oat flour and almond butter to create a perfectly chewy texture! Chocolate + peanut butter + maple syrup + oats + coconut. 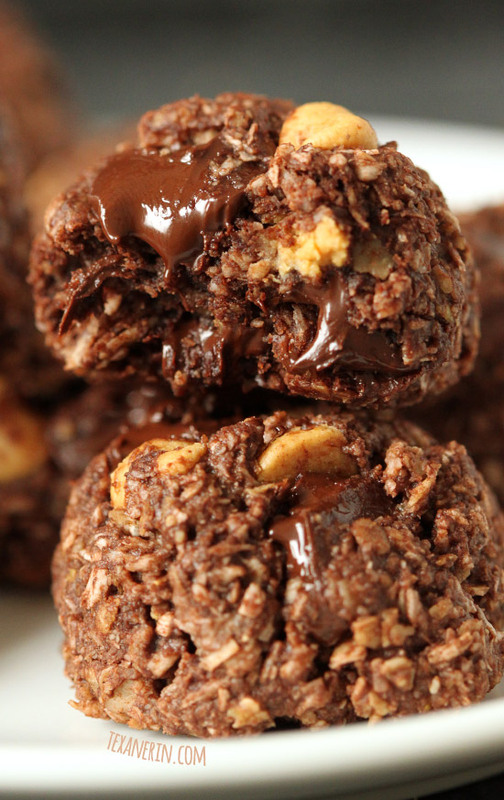 These chocolate peanut butter macaroons make me so happy! I bet they’ll have the same effect on you. 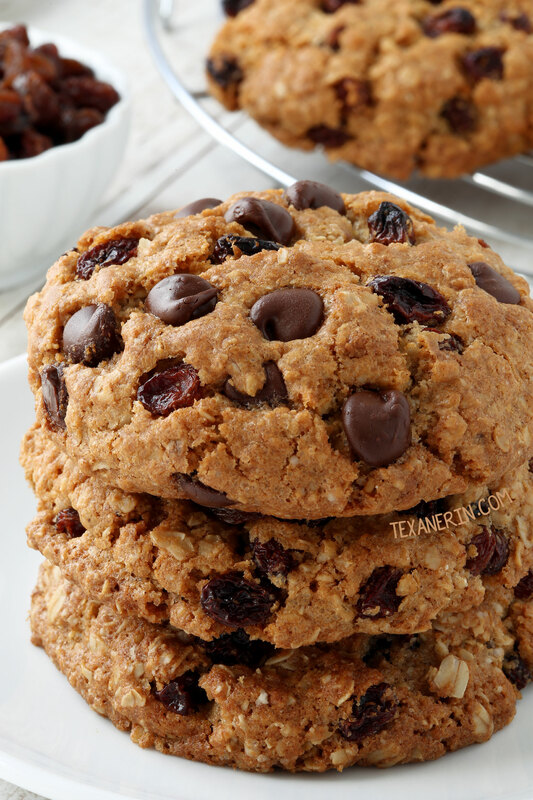 Bakerita’s oatmeal chocolate chip cookies are calling my name. 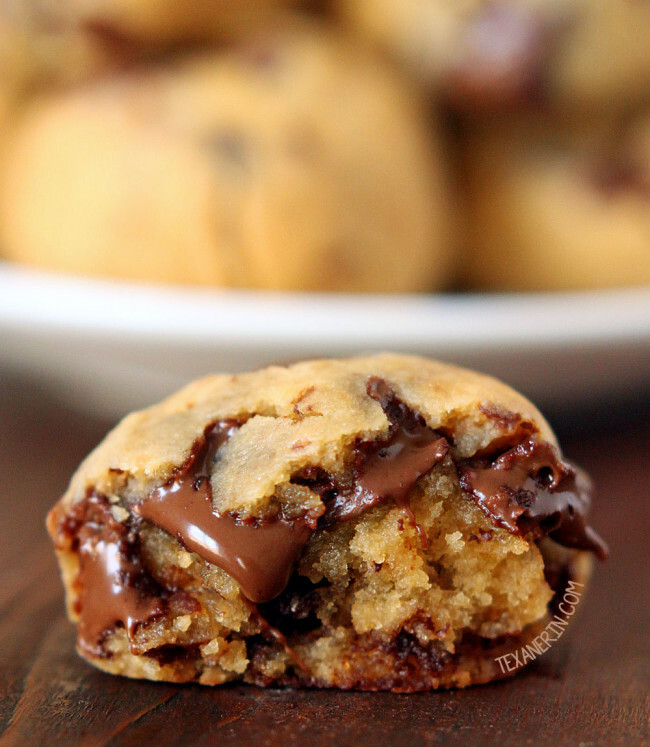 They’re gooey in the center with crispy edges and big chocolate chunks. Sounds perfect to me! 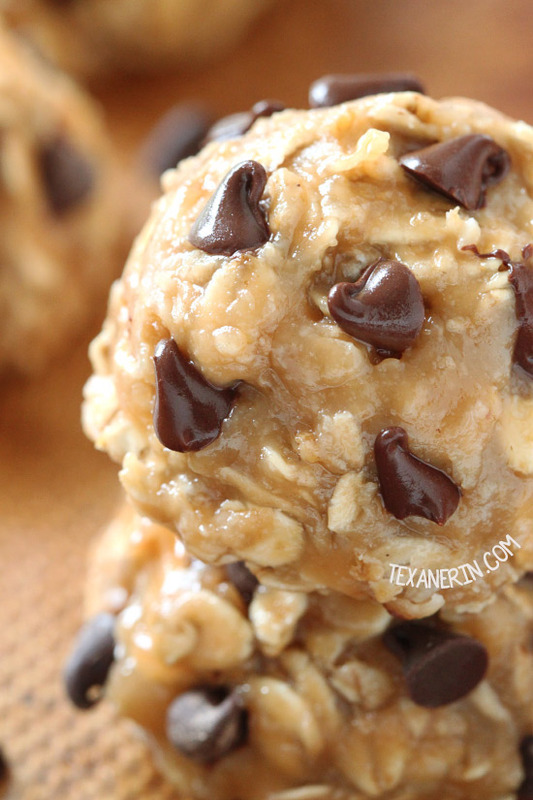 These no-bake peanut butter chocolate chip cookies are unlike a lot of other no-bake cookies I’ve had. The peanut butter mixture that you boil up is slightly caramel-like and also has maple syrup in it. 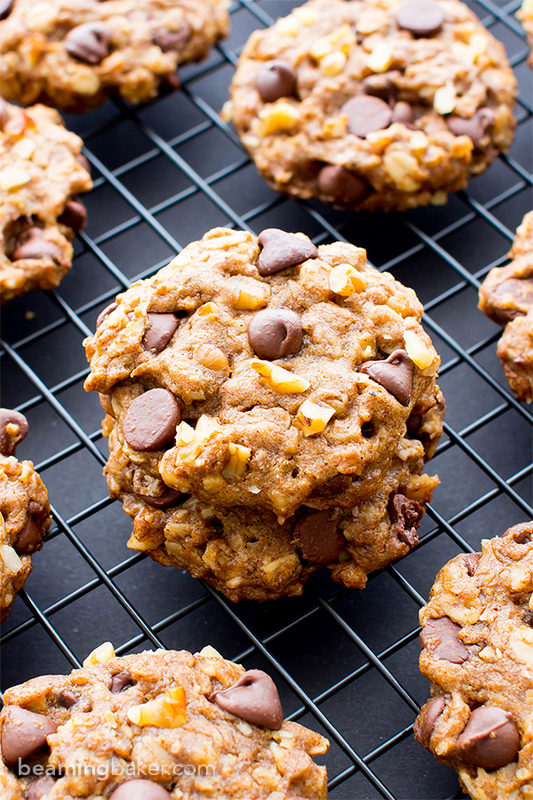 I’m a huge fan of maple and peanut butter together so these cookies are one of my very favorites. 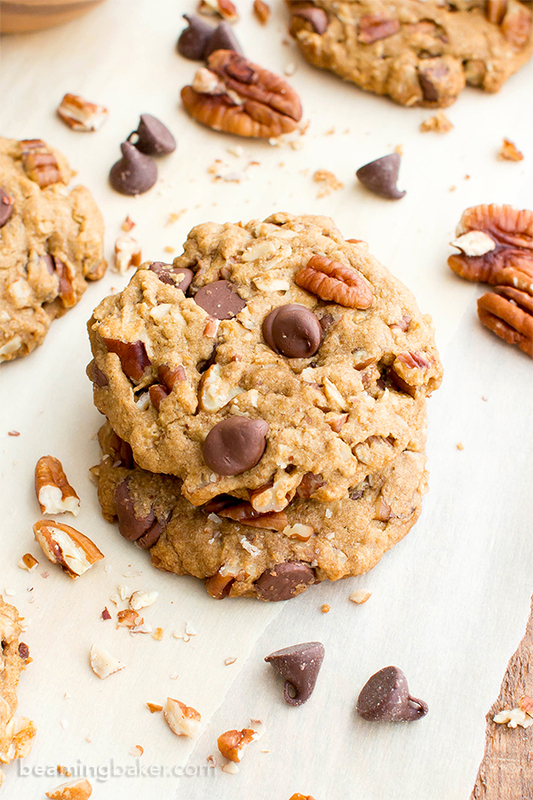 Beaming Baker’s maple pecan chocolate chip cookies are on my must-try list. 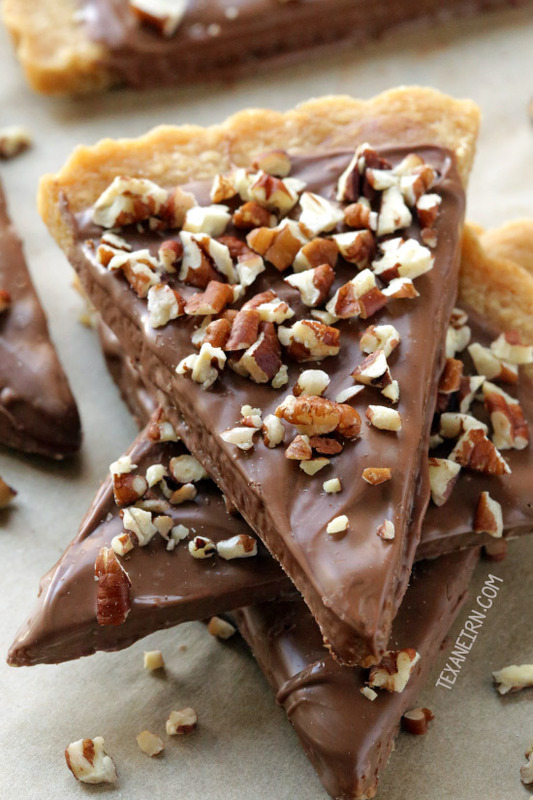 I’m always down for maple + pecan anything! 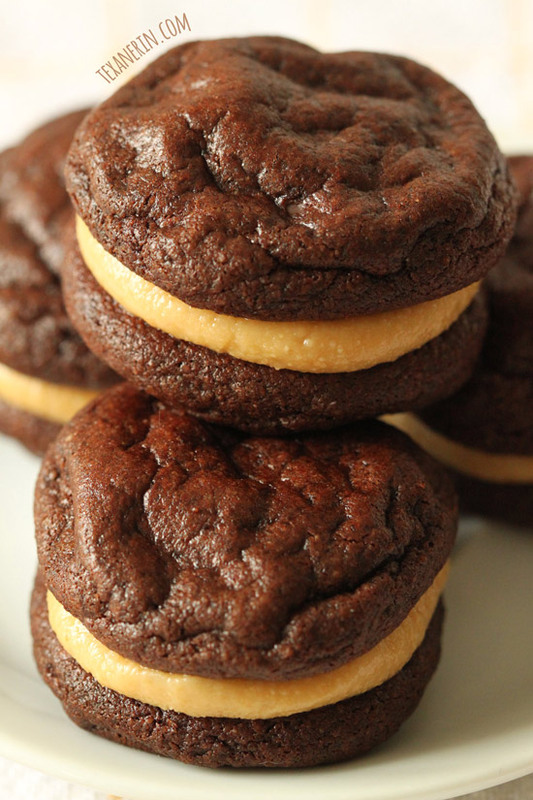 The cookies in these flourless chocolate peanut butter cookie sandwiches are kind of like a cross between a chewy and fudgy cookie and a brownie. And the peanut butter cup-like filling just sends them over the top! 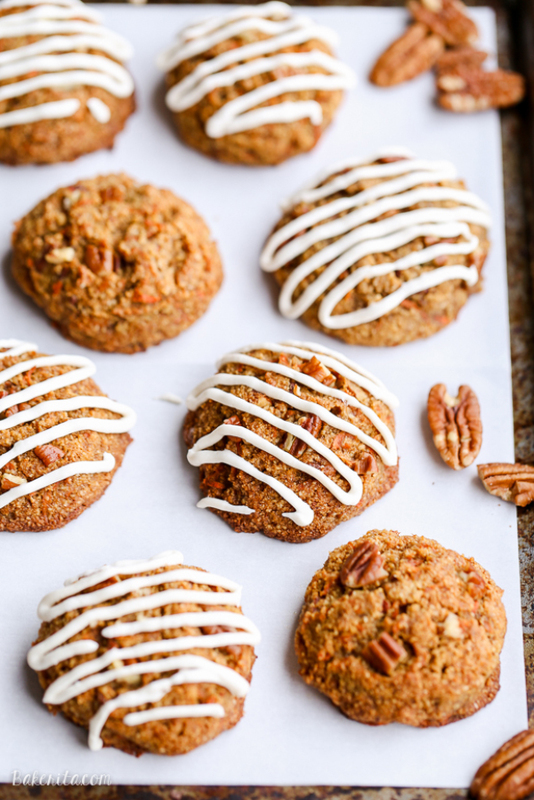 These carrot cake cookies with cream cheese glaze from Bakerita are like carrot cake but in cookie form. I love eating cake but do not like making it. These cookies are the perfect solution! 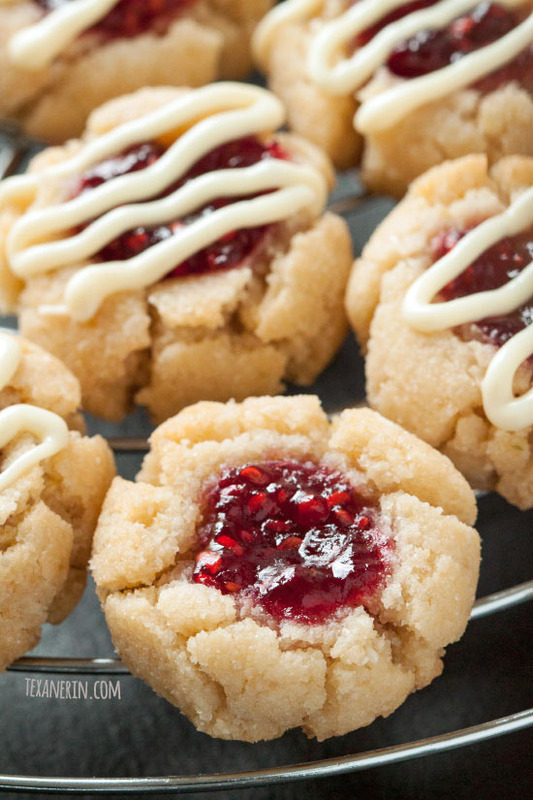 My grain-free and gluten-free thumbprint cookies have been a big hit. I like them with raspberry jam and lemon zest + extract or with almond extract, but you can use whatever jam and flavoring you’d like! 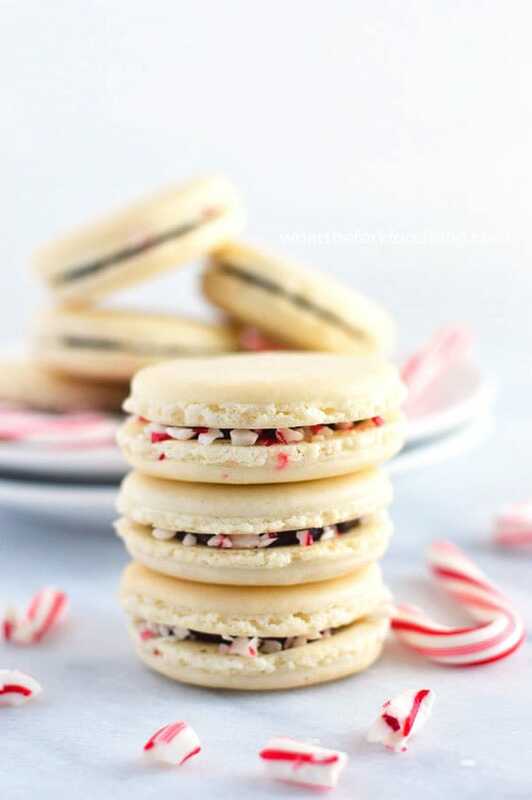 Not only do these peppermint macarons from What the Fork sound delicious, but they’re free of food coloring! Something that’s always turned me off of other recipes. These gluten-free chocolate thumbprint cookies from Gluten-free Palate only have 5 ingredients, are based on pecans (or walnuts) and are honey-sweetened. I’ll definitely be trying these soon! I hope you found some inspiration! Which recipes do you want to make first? 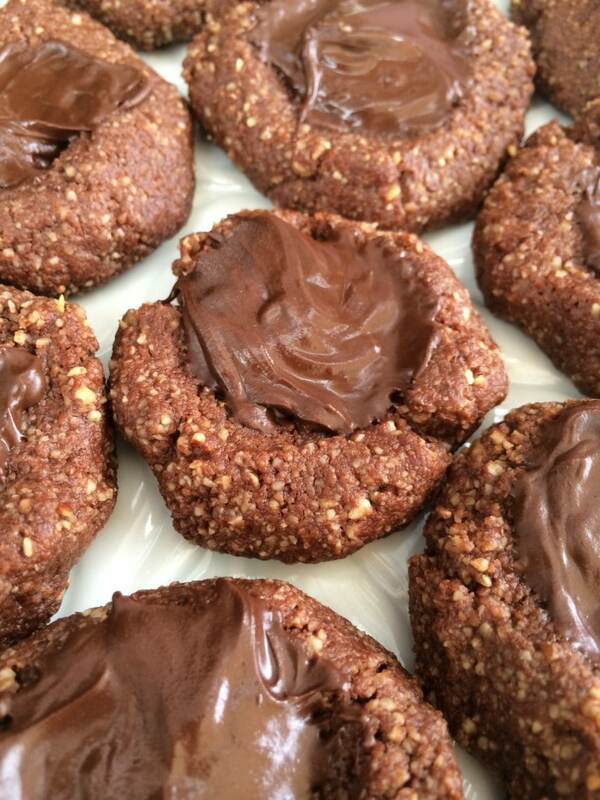 22 comments on “20 Gluten-free Cookies You’ll Want to Inhale” — Add one! I just found your delicious looking GF cookie recipes, thank you…I will try the thumb print and Pb chickpea first! I’m so excited to get these recipes! I haven’t done much gluten free baking except for using mixed. I am anxious to try some of these. They look really yummy! I’m so sorry for just now seeing your comment! I’m really glad that you’re excited and I hope that you’ll enjoy them. :) Thanks for your comment! Looking for your pumpkin cupcakes. I’m so sorry for just now seeing this! Hopefully you found them. Here’s the link: pumpkin cupcakes. Thank you so much for having a special section for gluten free recipes! My husband has Celiac Disease and is very restricted on his diet. I’ve even put our dog on a grain-free diet as well. Everything in our household is safe for him. These recipes look yummy and I’m sure with tempt his tastebuds! If the Chickpea Peanut chocolate chip cookies are your second most popular post, I’m curious what’s your first? I will have to try them out for this Christmas season. 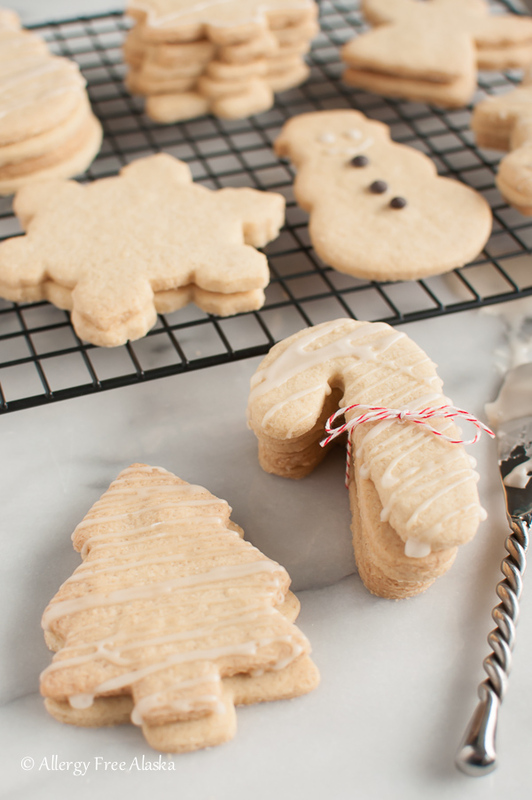 Do you have a gingerbread cookie recipe that is gluten-dairy and maybe egg free? Can all of the above be my answer?! YUM! Aww, thanks! They are quite delicious. ;) I need to find a way to make them vegan! Oh my, what a list!! I want a bite of everyone to see which ones I like the best. HAHA!! 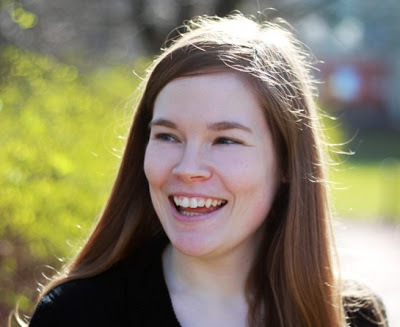 Erin, thanks for posting this curated list! Good picks as always. I’m hoping to try out a few soon. You’re welcome! I hope you’ll enjoy the cookies. :) Thanks for your comment!